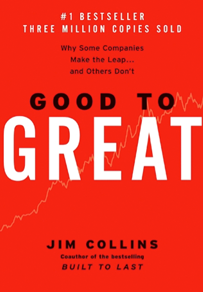 Persuasion is at the heart of business, where leaders must reach customers, clients, employees, and suppliers. 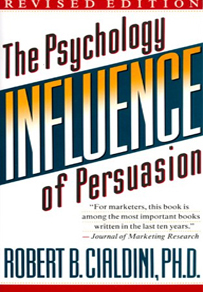 Influence is a classic book on the core principals of persuasion and is a great example of how psychological principles apply to the business world. You’ll learn the six universal principles of ethical persuasion: reciprocity, commitment and consistency, social proof, liking, authority, and scarcity. Cialdini shows how to use the principles to become a skilled persuader—and how to defend yourself against them. Based on research and interviews — with a wide range of top persuaders—Cialdini explains the psychology behind what moves people to say “yes” and how to translatethis information into the real world.